Brass 2.0, Wind instruments ensemble from Arturia. Arturia announced it will soon release its Brass 2.0 virtual instrument. This upgrade will be free for all registered users. More details at Arturia: www.arturia.com. 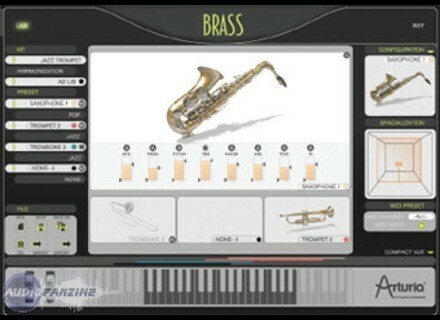 [NAMM] Steinberg VST PlugIn Zone Steinberg introduced the PlugIn Zone, a new section on the Steinberg website dedicated to software companies and their VST products.